1. )If anyone of y'all know a good resource for obtaining kefir grains, I'd love to know! Can you leave me a comment? 2.) We have sort of outgrown our 2006 Toyota Sienna and have gone back to a Suburban, which allows for seating 10. 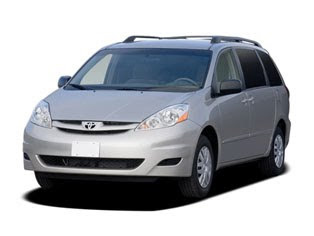 We love this Sienna, it is so dependable and has great safety ratings. Ours has been serviced by the dealership, has a bunch of fancy new things like tires (comes with snow tires too!) and new breaks and because we had five or six kids riding in it, we had it detailed by the professionals (no more cheerios under the seat!). If you'd like more info, leave a comment or contact me at the email address at the top of the page and I'll pass your info along to my sweet, car-knowledgeable husband. One thing I respect and love about Sean is that he always makes sure the children and I have a safe vehicle to drive. 4.) Working on getting back to a daily schedule for myself and the kids now that we have a newborn and less sleep added to the mix of life. How about you? What planning ahead has helped with a newborn in the home? I'd love to see the comments and follow your transition as we'll be experiencing the same thing in May and I'm scared out of my mind. It's been just us and the twins for 9 yrs!! I like culturesforhealth.com for all culture starters, including kefir grains. Congratulations on your new baby girl! She is beautiful, and I love the name. Hey Hannah! I would be willing to share some of my kefir grains. Are you looking for dairy or water or both? Let me know! I'd be willing to ship them to you. I'm breaking them up this week to share with another friend so I could break some out for you as well. :) You can email me @ se hamm 7 @ gmail . com (no spaces) if you're interested. kefir: could I send you some milk grains? I got some this spring from ebay but reasonably local to me (WNY). They arrived quickly in the mail in a ziploc and multiply rapidly enough that I have given extra away a few times. I haven't used them with raw milk very often (it's hard to get) but it works fine with homogenized. Let me know. My gift. I think you have done an amazing job of getting ready for your new baby! I hope you can just enjoy this precious time and not worry about trying to accomplish anything but the bare necessities! I remember (after number 5) the first time I got anything done in the evening besides get kids to bed. I darned some socks and thought I had climbed a mountain! BUT that was after several months. God bless you!